HOME CURRENT ISSUE Business Okinawan Salt; real source of Okinawan long life? 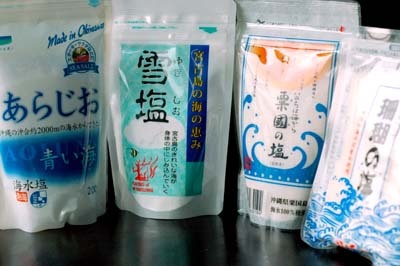 Seasalt produced at various regions of Okinawa are sought-after commodity. Okinawan Salt is far more than just a highly regarded condiment for food. It is something that is strongly tied to Okinawan people and culture. It’s not only something that represents good health, but it is said that by incorporating it into everyday life, this very special salt is truly the secret source to a long life. The Sea of Okinawa is a truly wonderful body of water. It’s very rich in minerals that make it a great place to gather resources, and one of them is Okinawan salt. Okinawan salt is not only rich in all natural minerals, but it also has a rich taste. It has won a gold medal in an international food contest, and is also listed in the Guinness Book of World Records for this fact. Okinawan Salt has been proven to be the best of all salts produced in Japan, and because of this it has managed to gain the full attention of the whole world. It is 100% natural as it comes straight from the Sea of Okinawa; therefore, it is free of any toxic elements or radiation. 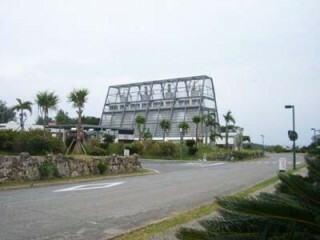 Salt extractor facility in Yomitan. It also contains the highest number of natural quality minerals that other forms of salt don’t have in abundance. Some of these natural quality minerals are nutrients that we all need for everyday life and good health. These minerals include calcium, potassium, zinc, silicon, and magnesium, to name only a few. Yet another benefit of Okinawan salt is that it’s taste is one of the most highly regarded among all ocean salts. It is a unique salt due to its very unique and natural production process. Okinawa, Japan is known internationally for being the land of longevity, and one can understand why, with just the presence of Okinawan salt alone. It’s a mineral that is made by nature, and comes from the Sea of Okinawa, a body of water that is one of the cleanest and clearest of all blue ocean waters in the entire world. Therefore, Okinawan salt is truly a gift from this amazing sea, and this gift is blessed with the secret to long life that results in the longest living humans on earth residing in this great exotic locale. Long life, and lots of natural health benefits are something, which the Okinawan people reap from the presence of Okinawan salt and intake of other healthy food products that make up their unique diet. The salt is just one of the sources of the very precious minerals that blesses the people of Okinawa with a long life that others can only dream of. This truly amazing and totally healthy salt contains 25% less chloride compared to other salt products on the market. It also contains no additives or preservatives. It is 100% natural in creation and content. It truly gets no better than that. Good health begins and never ends with the use of Okinawan salt in one’s daily life regularly.